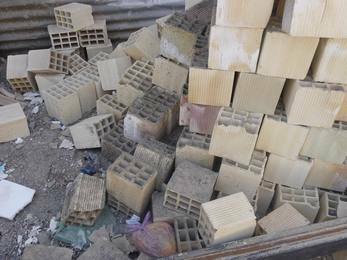 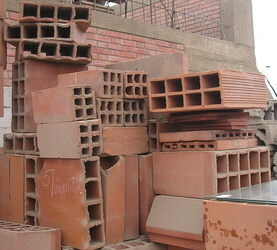 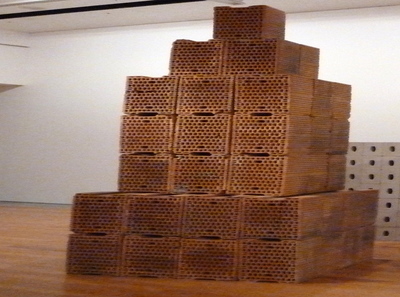 Fired clay blocks, lightweight extruded type, with several small perforations. 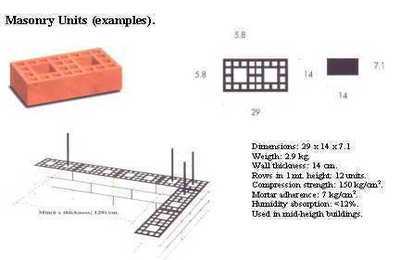 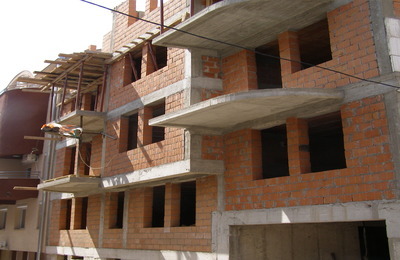 Volume of perforations may range from 25 to 70% of the gross block volume. 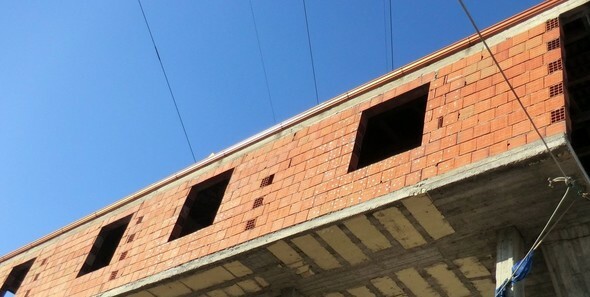 The perforations are laid in the horizontal direction.